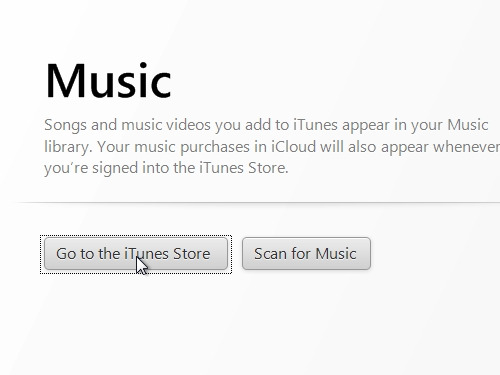 In order to find a song, open the “iTunes” application. 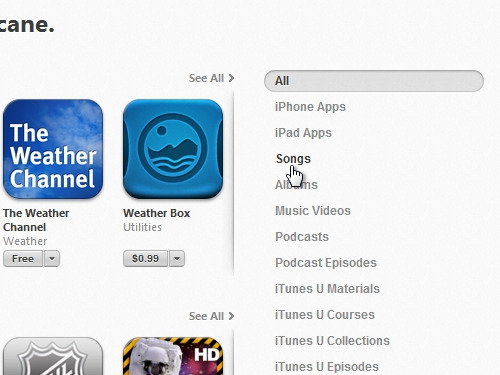 In the opened application, click on “Go to the iTunes Store”. 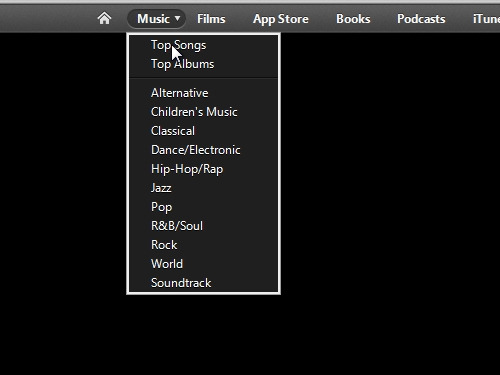 In the next window you can choose “Top songs” or “Top albums”. If you want to find a certain song, just type the song name in a search bar. 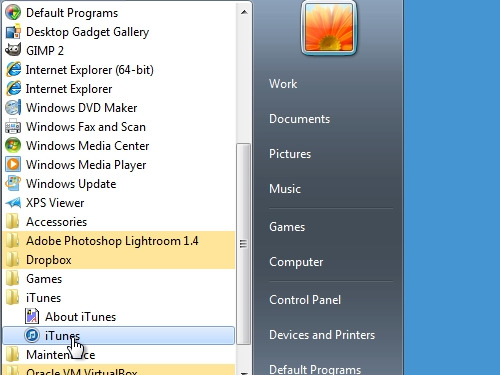 After the page is loaded, press “songs” in the right column, to sort the results. Or you can type another name of a song and find it the same way. Click on the found song. Here you can listen to a preview of a song and buy it.